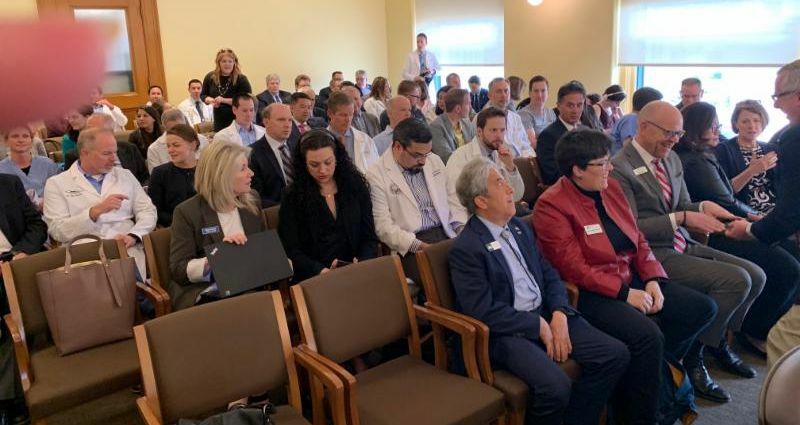 CMS will need all hands on deck to reenact professional review protections for physicians in the closing month of the Colorado General Assembly. Legislation to do so (SB 19-234) was filed late last week in line with recommendations by the Department of Regulatory Agencies (DORA) and unanimously approved by the Senate Judiciary Committee at a hearing on March 25. 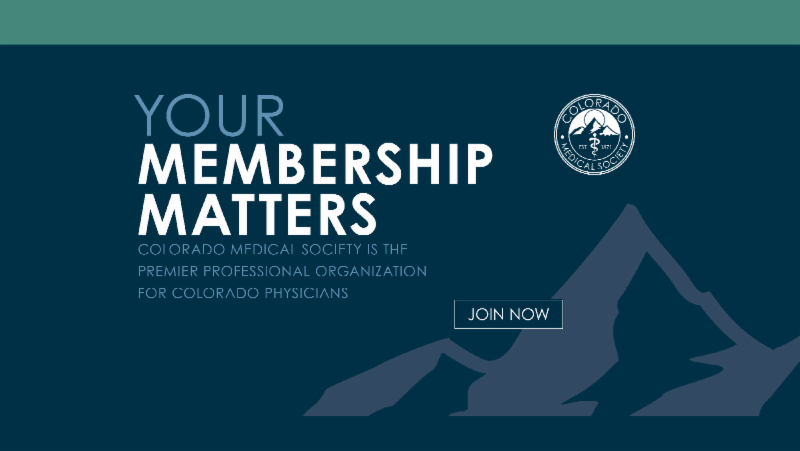 Shortly after the bill was filed, a key sponsor of the legislation urged CMS to sit down with representatives of the Colorado Trial Lawyers Association to “work something out.” While the request to meet will be honored, CMS is very aware that physician members are extremely concerned about the idea of the professional review system being opened to discovery. 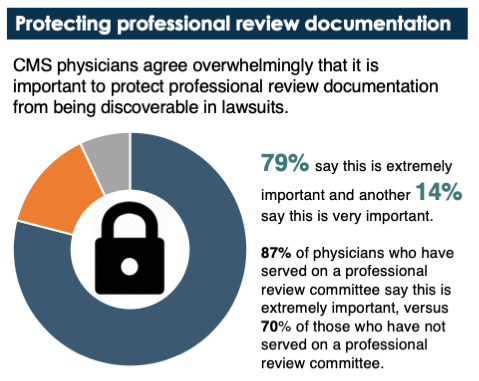 A recent CMS-commissioned survey of physicians shows that members overwhelmingly agree that it is important to protect professional review documentation from being discoverable in lawsuits. Read more on CMS.org. Addressing the problem of surprise medical bills continues to be a priority issue at the legislature. Currently there are two competing bills to fix this issue and on April 4 CMS conveyed its strong support of a significant rewrite, otherwise known as a “strike below,” to Senate Bill 19-134 at a hearing of the Senate Health and Human Services Committee. CMS and others in the "house of medicine" believe that the senate bill provides a better fix to surprise bills than the other piece of legislation, House Bill 19-1174. Read more on CMS.org. A bill strongly supported by CMS that would streamline the overall process of prior authorization was voted out of committee Wednesday, March 27, and now heads to the Senate for consideration. House Bill 19-1211 would promote safe, timely and affordable access to evidence-based care for patients; enhance efficiency; increase transparency; and reduce the variations among payers and utilization management organizations. Read more on CMS.org. American Medical Association Executive Vice President James Madara, MD, sent a letter of support for Colorado House Bill 19-1269 to Rep. Jonathan Singer, chair of the Public Health Care and Human Services Committee. The bill would help put an end to insurer policies of prior authorization for medication-assisted treatment (MAT) for opioid use disorder, help ensure patients have affordable access to MAT, and put in place much-needed mental health and substance use disorder parity protections for patients. “Colorado has already shown much progress in working to stem the opioid epidemic, and without question, this bill will save lives in Colorado,” Madara wrote. Read the full letter here. CMS President Debra Parsons, MD, FACP, sent a letter to Anthem Blue Cross and Blue Shield Medical Director Elizabeth Kraft, MD, expressing concern about a recent Anthem update that indicates the payer is revisiting a pay cut for evaluation and management services provided on the same day. Anthem proposed reducing paying for E&M services with modifier 25 in late 2017 but fully rescinded the cut in early 2018 following strong pushback from physicians who attested that the reduction was inappropriate for separately identifiable services. Parsons asked for more information and an in-person meeting to understand how the policy will be implemented in Colorado and how it will affect CMS members. Read the letter here. Gov. 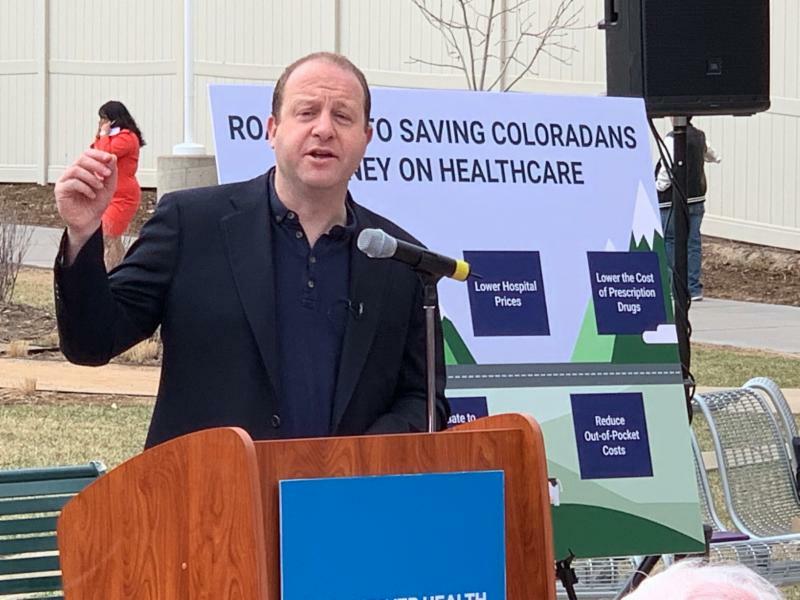 Jared Polis unveiled the Polis-Primavera Roadmap to Saving Coloradans Money on Health Care on Thursday, April 4. This roadmap outlines short and long-term action steps that will begin to reduce patient costs and improve the health care system overall. “Health care costs too much,” Gov. Polis said at a press conference. “No Coloradan should have to go without care because they can’t afford it. This roadmap will be our guide to saving people money on health care and ensuring better access to affordable care for everyone in our state.” Read more on CMS.org. Apply today for the 2018 – 2019 Physician Practice Quality Improvement Award. The deadline is May 31, 2019. A presentation by Elizabeth Salisbury-Afshar, director of the Center for Multi-System Solutions to the Opioid Epidemic at American Institutes for Research (AIR), offers an overview of medication-assisted treatment (MAT) for opioid-use disorders. The presentation covers addiction as a chronic medical condition, the differences among the three Food and Drug Administration (FDA)-approved opioid use disorder (OUD) treatment medications, and how harm reduction fits into management of OUD. Find a link to the presentation on Telligen’s website here . 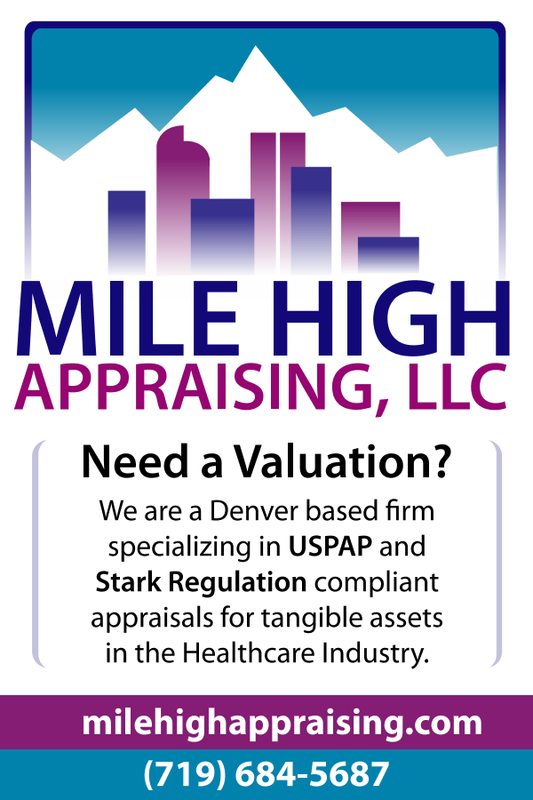 As part of a grant from the COPIC Foundation, CIVHC is working to help providers in Colorado be properly reimbursed for helping their patients with Advance Care Planning (ACP). A webinar developed by Pinnacle Health is now available on civhc.org and is designed to educate providers how to document and bill for ACP services. The webinar can be accessed here: www.civhc.org/acp-provider-training . CIVHC also asks participants to complete a brief survey following the webinar. 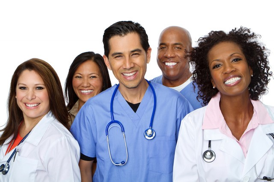 Serving medical professionals is all we do. 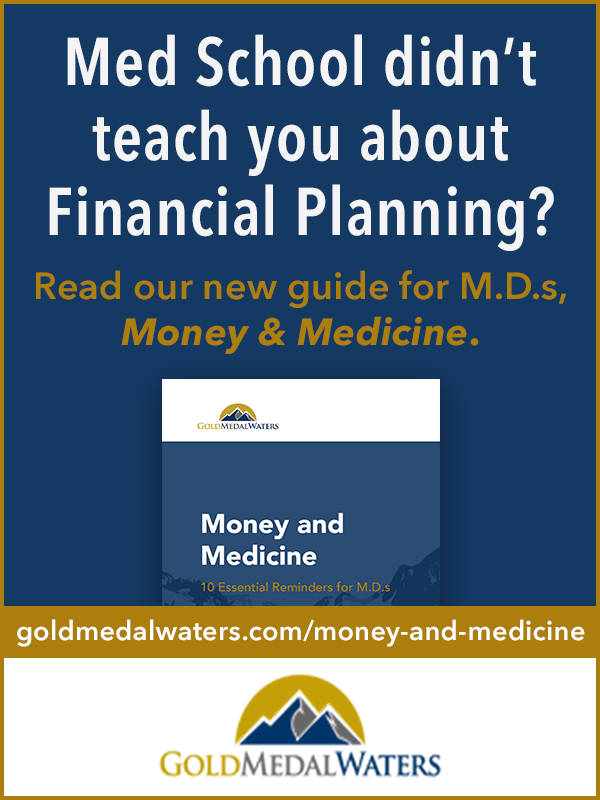 Owned and operated by the Colorado Medical Society and backed by an all-physician board of directors, MTC is uniquely focused on the needs of its clients. 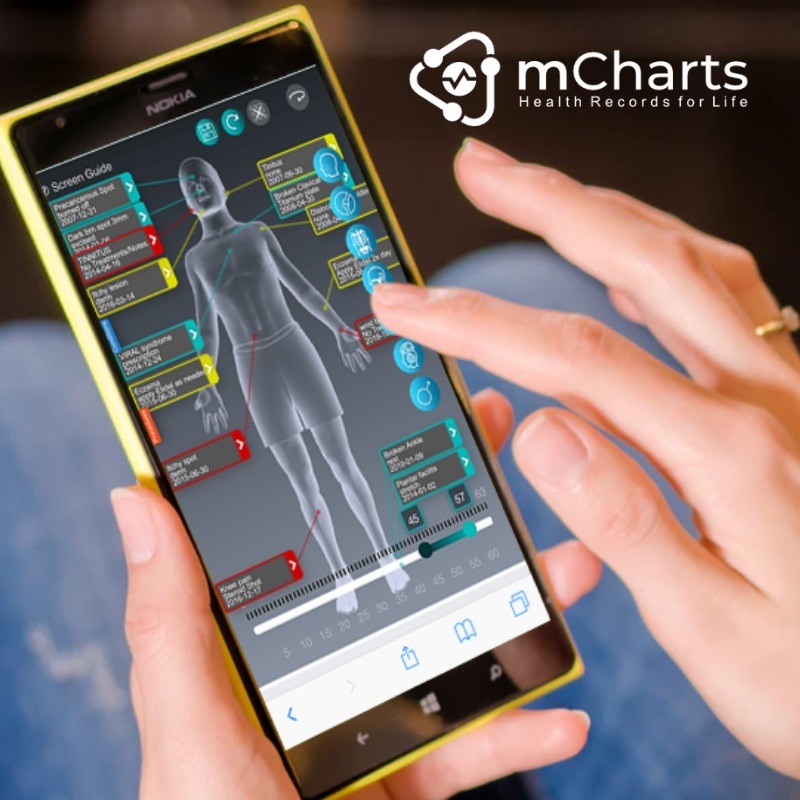 MTC Benefits include: Secure Messaging, Voice Logger/Voicemail, Appointment Confirmations/ Reminders, Personalized Announcements, Custom Applications, and competitive rates! The National Academy of Medicine will hold a meeting on clinician well-being and resilience in Chicago May 28-29, and has opened the events on May 29 to the public through live webcast. “To ensure high-quality patient care and build a more effective health system, we depend on a healthy, productive, and engaged clinician workforce,” NAM states in program marketing. “But, increasingly, U.S. health care providers are burned out. Our nation stands at a critical crossroads. Health care spending is at an all-time high, yet Americans are less healthy than peers in other high-income nations. The population is aging rapidly, and rates of chronic disease, obesity and drug addiction are skyrocketing. We cannot reverse these trends without engaged and effective clinicians working in systems and cultures that support their career satisfaction and well-being.” View the event agenda and register here. The burnout rate among physicians in the United States dropped modestly in 2017 from a peak in 2014 and currently stands near 2011 levels, according to a triennial study conducted by researchers from the AMA, the Mayo Clinic and Stanford University School of Medicine. While acknowledging progress, the AMA warned more needs to be done to reduce physician burnout and called on leaders in the health care system to remain focused on driving research, interventions, workflow and teamwork enhancements, policy changes and technology improvements. The study found 43.9 percent of U.S. physicians exhibited at least one symptom of burnout in 2017, compared with 54.4 percent in 2014 and 45.5 percent in 2011. In comparison, the overall prevalence of burnout among U.S. workers was 28.1 percent in 2017, similar to levels found in 2014 (28.4 percent) and 2011 (28.6 percent). Read more here. Transcription Outsourcing, LLC is the leading U.S. provider of medical transcription services. 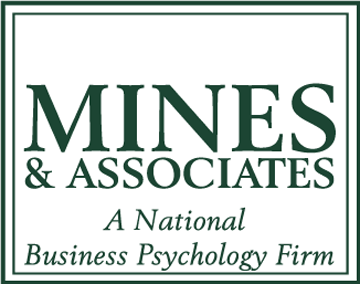 We provide physicians with the ability to be more productive and more profitable. 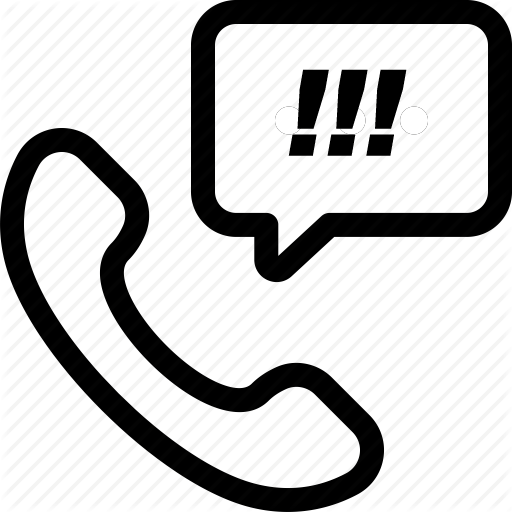 To learn more, call 720-287-3710, visit www.transcriptionoutsourcing.net or email bwalker@transcriptionoutsourcing.net. The Centers for Medicare and Medicaid Services Center for Program Integrity is coming to Denver and they want to hear from the physician community on what works well, and what can the agency do to better meet your needs. You are invited to join the federal CMS Denver Regional office, the Center for Program Integrity and the Medicare Administrative Contractors (MACs) for a session on Medicare Fee-for-Service compliance programs the evening of May 7. Registration is required and limited to the first 50 physicians who can attend in person. Read more on CMS.org. Compliments of CMS: Reduce patient callbacks, HIPAA compliant, RX Savings up to 75%, click for free customization COLORADO DRUG CARD. Digitize your CV and save time and money in managing your credentialing and health plan enrollment data and documentation with the new CMS Credentialing and Enrollment Services (powered by 3WON). 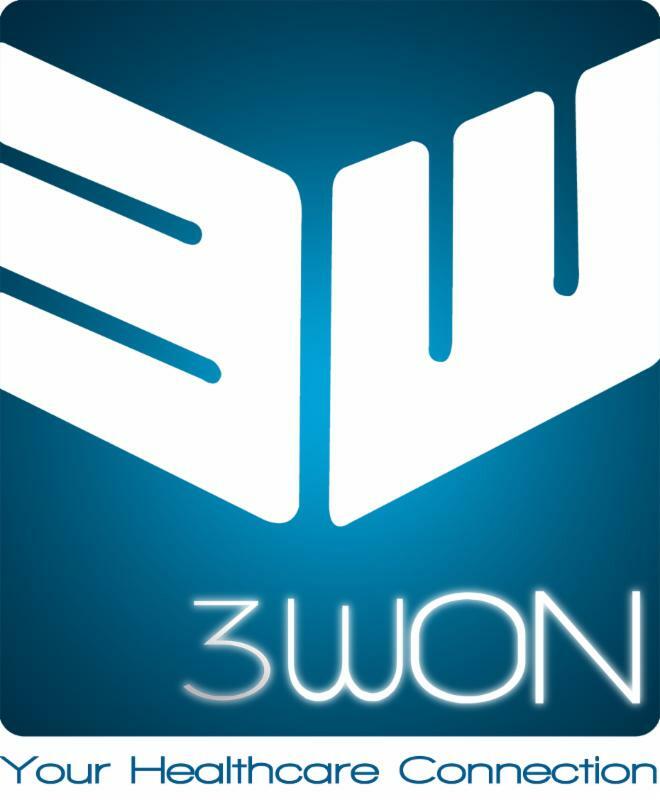 Visit www.3won.com or call 630-505-3111. A new documentary will air Monday, April 8 on PBS. “The Providers” follows three health care providers in northern New Mexico as they provide care in an underserved rural setting affected by the opioid epidemic. They work at El Centro, a group of safety-net clinics that offer care to all who walk through the doors. Amidst personal struggles that reflect those of their patients, the journeys of the providers unfold as they work to reach rural Americans who would otherwise be left out of the health care system. With intimate access, the documentary shows the transformative power of providers’ relationships with underserved patients. Check local listings and watch the trailer at http://theprovidersdoc.com . Breakthrough Chronic Care is an innovative solution to the broken health care system. We are saving lives, fostering unparalleled doctor-patient relationships, and reducing stress for doctors. The Physician Practice Quality Improvement Award Program online application is live! Physician practices continue to make great strides in providing reliable preventive services and implementing effective care management methods. 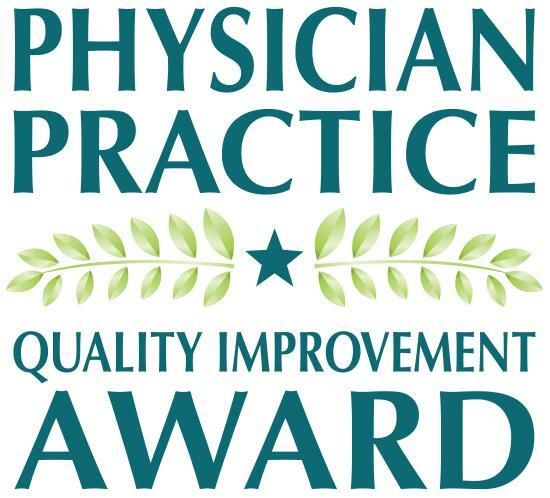 TMF Health Quality Institute sponsors the Physician Practice Quality Improvement Award Program with several state medical associations to recognize practices working hard to provide high-quality patient care and improve outcomes. The deadline to apply is May 31, 2019. Read more about the award criteria here.